Find all Glen Abbey homes for sale right here. Glen Abbey is an exclusive neighborhood of upscale homes located in the city of Alpharetta off Kimball Bridge Road between North Point Parkway and Old Milton Parkway. Homes for sale in Glen Abbey range from the $500,000's to the $800,000. As you drive down the tree-lined entrance to Glen Abbey, you are greeted by the clubhouse with 7 tennis courts, a basketball court, swimming pool and spray park. 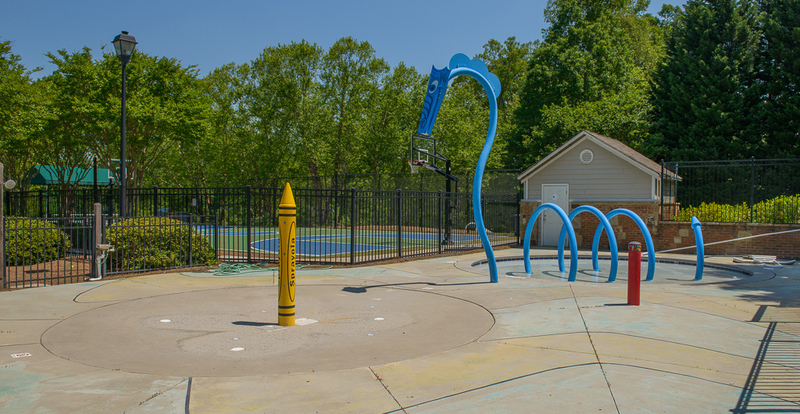 As one of Alpharetta's premier swim/tennis neighborhoods, Glen Abbey remains one of the more sought after communities because of its proximity to Georgia 400 with access from either Haynes Bridge Road or Old Milton Parkway and its proximity to some of the best Alpharetta has to offer at Avalon and North Point Mall. The streets are wide with sidewalk and street lights and the homes are large including many with side entry 3 car garages. Glen Abbey is close to many of Alpharetta's cultural attractions like the downtown area and Verizon amphitheater as well so if you are considering a move in Alpharetta at this price point, you need to look at Glen Abbey. Stay up to date with what's going. View all of the recently sold homes in Glen Abbey here. Schools that serve Glen Abbey at the time of this writing are New Prospect Elementary, Webb Bridge Middle and Alpharetta High School. All of the schools are part of the Fulton County School system. If you own a home in Glen Abbey and you are considering listing your home for sale, you will want to have the best marketing available so that your home will be elevated above the competition in a real estate market. Contact us to learn more about how your home can benefit from a combination of traditional and powerful internet marketing to place your home for sale in front of a much larger audience of potential buyers. Glen Abbey has an active homeowners association with activities year round. You can get more detailed information and contact information on the official Glen Abbey HOA website. If you would like more information about Glen Abbey or other homes for sale in Alpharetta, call or contact us and we will be happy to help.